The Andrzej Wróblewski Foundation (Fundacja Andrzeja Wróblewskiego), was registered on February 27, 2012, under the National Court Registry No. (KRS) 0000412488, by the District Court for the Capital City of Warsaw in Warsaw, 12th Commercial Division of the National Court Register. Supervising Authority: Minister of Culture and National Heritage. 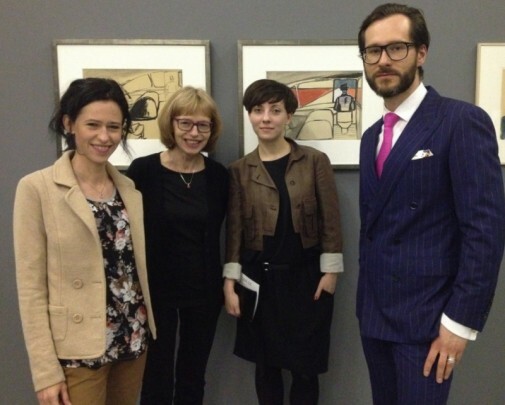 Founders: Marta Wróblewska, Krystyna Łysik, dr Magdalena Ziółkowska, Wojciech Grzybała. – To popularise and promote Polish contemporary art in Poland and abroad, including the work of Andrzej Wróblewski. – Offering awards and scholarships to artists and scholars.